Shiro Samurai's Cosplay: [Sponsored] CosplaySky review: Resident Evil 4 Leon Kennedy cosplay jacket! [Sponsored] CosplaySky review: Resident Evil 4 Leon Kennedy cosplay jacket! 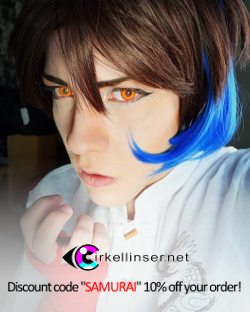 As I said in the Leon costest previously I would review his jacket and here it now is! You see, I got contacted by CosplaySky last year and they asked if I wanted to do a little collaboration with them – my answer was of course positive as I know people who have dealt with them before and been happy with the products and besides, their store is one of the better known online cosplay stores out there anyway. I love to review stuff and help the cosplay community out and that's what I'll do today! 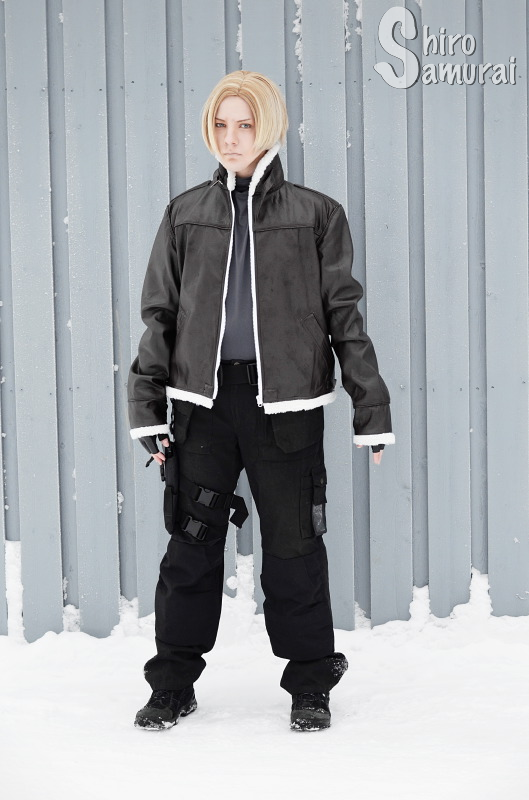 For those unaware of CosplaySky it's a big and well-known online cosplay shop that has been around for years. 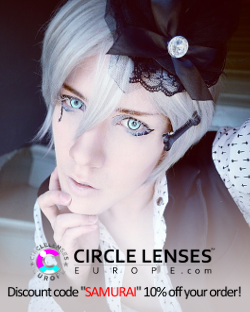 They mainly sell cosplay costumes but also accessories, wigs and the like. Prices are generally affordable and the costumes tend to be accurate to what is shown on the site's stock images. My reviews are always 100% my genuine opinion, no matter if the items were sponsored or bought with my own money. I never compromise my honesty and true thoughts to my readers. 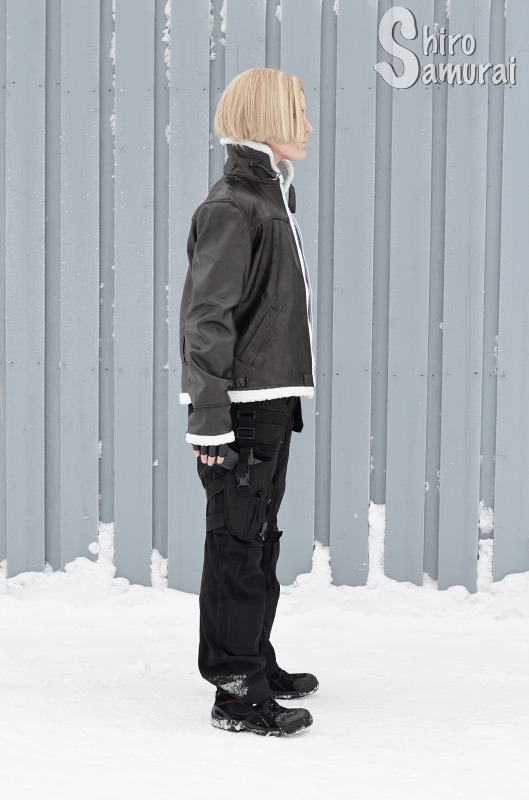 It should be mentioned that I am quite picky when I browse online cosplay costume stores; I have a habit of always scrutinizing even the smallest details (I'm a perfectionist) and comparing them with official reference photos to see how accurate they really are. I do often try to find the most accurately made costume possible but I also keep realistic expectations in mind – you can't get something that's 100% accurate, well-made and with high-end quality fabrics for cheap. "You get what you pay for" is something that I always keep in mind when I shop around. Most cosplayers do agree on that quality generally goes before price, meaning that they are willing to pay more for a nicer costume – I roll by that too. I do believe though that CosplaySky has a fair price versus quality standard, meaning that considering the price you pay you do get a decent costume. There might be a few small flaws but it's normally nothing that detracts from the cosplay as a whole. 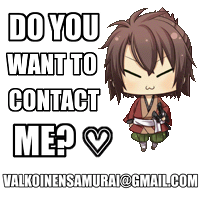 CosplaySky contacted me somewhere during the later half of last year. I'm sorry but I can't remember the details exactly as this was during a really stressful period of my life. ^^" As I've mentioned above I ended up choosing Leon Kennedy's jacket from the game series Resident Evil. 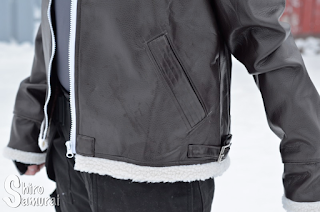 There were two different versions of his jacket available and, after a lot of thinking I picked the darker version. The processing of the jacket (or costume, if you may) took anywhere between 1-3 weeks I think, I'm not sure as I don't have exact dates mentioned in my contact emails to go by. Shipping took a little over a month, which is pretty normal considering it came from China. I have no complaints as I wasn't in a hurry. 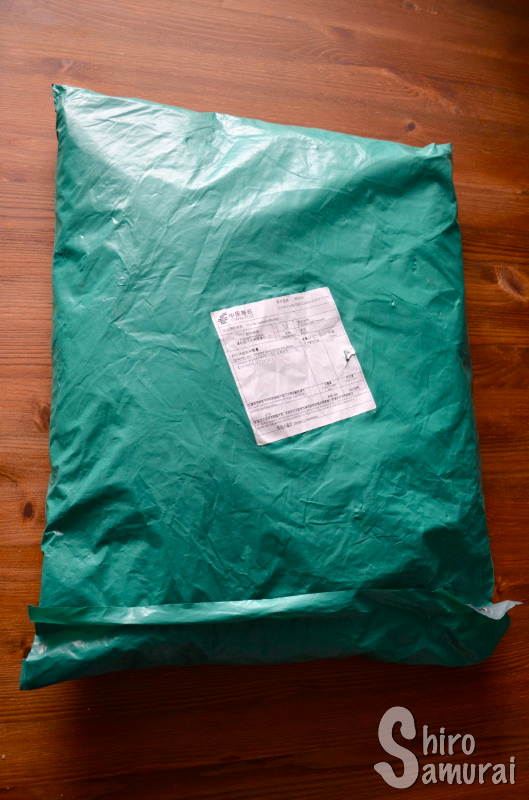 The costume arrived in this green plastic bag. Nothing fancy but it did what it was supposed to do, namely get the product safe to my door. 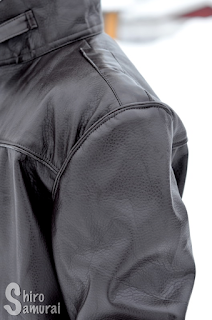 I guess that if the costume had any breakable parts it would have been protected better but yeah, since in my case it's just a pleather jacket it can't really get ruined easily. Inside the plastic bag was the costume bag itself, which is this convenient bag with a plastic zipper for secure closing. With the costume also came a costume information paper sheet (in Chinese) that had a stock photo of the chosen costume and your measurements on it. I got mine custom-sized as I don't fit into any generic sizes. I'm sorry for the poor light conditions but all photos were taken during the winter and thus we who live so high in the north have this wonderful (not) natural phenomenon called polar night, which means severely limited sunlight hours for many months. In other words the sun barely rises above the horizon line and a majority of the day is spent in complete darkness. It makes it really hard to photograph. I remember my first impression being positive. 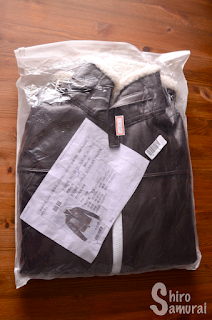 I took the jacket out of the bag and it is indeed pleather – a light to mid-weight type I think. I'm not too experienced with leather/pleather and so I can't say so much about the quality of the fabric itself (because I can't really compare it with much), but it has some weight to it and seems pretty good. It's of a really dark brown shade and is a tiny bit stiff to move in, which is pretty usual with (p)leather jackets. It fits me and I can even close the zipper without a problem. It's actually pretty nice to wear, although it feels a bit "boxy" and I must admit that this is a summer or autumn costume – I wore it out on a winter day and the cold goes right through it in no time! Oh and yeah, regarding the zipper I should mention that it's your usual plastic zipper. 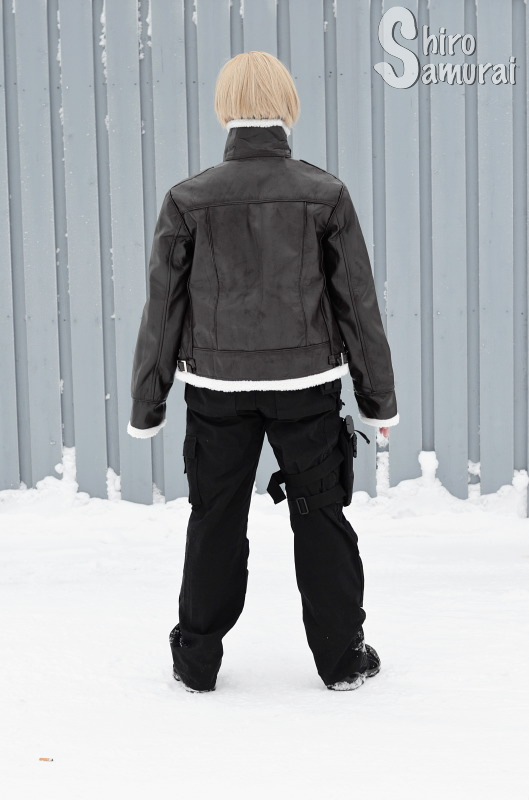 If I'm honest I would have wished for a more sturdy zipper (metallic) as a plastic zipper feels a bit flimsy and out of place on a leather jacket, even if it's a cosplay jacket. But I can't really complain about it since on the stock photos it indeed showed a white plastic zipper and that's exactly what I got – the little difference though is that on my received jacket the zipper is much more visible than what it is on the stock images, as on those it's sewn on so that only the "teeth" of the zipper are showing, while as on mine almost the whole zipper is visible. But hey, it's a minor thing and I can live with it. I guess I'm just nitpicking at this point, lol. It would also have looked better if the zipper matched the color of the jacket because yeah, white really stands out and makes it look costume-y. Sewing quality is good and consistent. Every seam is straight and professional-looking and there were only a few loose threads that I had to cut off (mainly from the lining). The jacket's inside is lined with this shiny brown fabric that feels really smooth to the touch and it's pleasant to have against your body. The pockets are fully functional (always a big plus!) and all the belt strap thingy details are there. The details are pretty accurate to the character and thus makes the jacket recognizable. Also, as I mentioned earlier there were two different versions of this same jacket available and I picked the single-color darker one in the end, mainly because I felt like on the other version the colors were perhaps a bit too bright – although it boils down to personal preference. 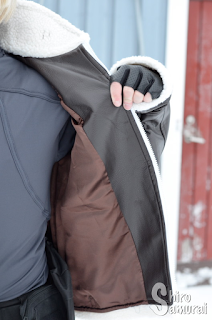 I remember thinking though that, if I wanted, I could just paint the details (pocket openings etc) with a lighter brown to make them stand out more against the dark main color and thus the darker jacket would be more easily customized. All photos taken by Frozen Angel. The pockets are fully functional! One of many belt strap thingy decorations. Lining. 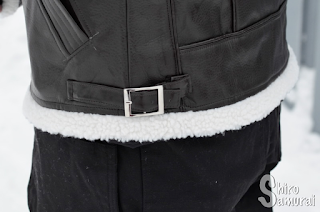 The inside of the collar is furred. This particular costume is about 85% accurate to the stock photos on the site, which is pretty good. Make sure to study the stock photos closely as you are likely to get something really similar to it if you buy from CosplaySky. I can recommend them as an online costume store. Please note that this review is for the JACKET ONLY. Photos taken by Frozen Angel. 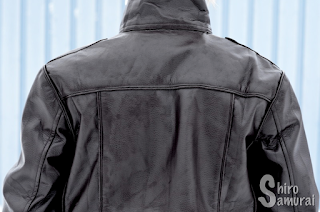 Want to get your own Leon Kennedy cosplay jacket? Check links below! I got my jacket custom sized and thus I can't speak for the pre-made sizes as I never fit into any of those, lmao. But the custom size fits me and it's easy to move around in. Of course it's a bit "boxy" and stiff as (p)leather behaves differently than, say cotton, but it's still comfortable to wear. 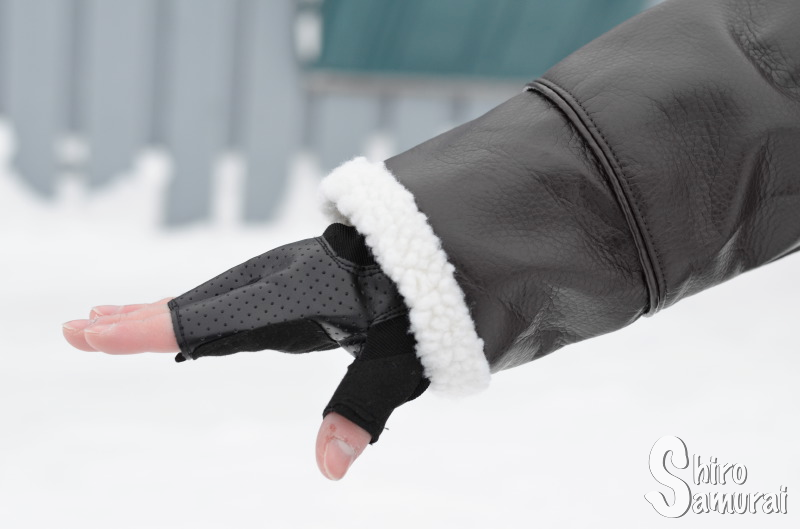 It doesn't pull at any weird places and the sleeves look long when my arms are relaxed at my sides, but as soon as I move around they are the perfect length! If you are willing to pay extra to have it custom made I would recommend it, that's what I always do and so far I haven't gotten anything that didn't fit me. 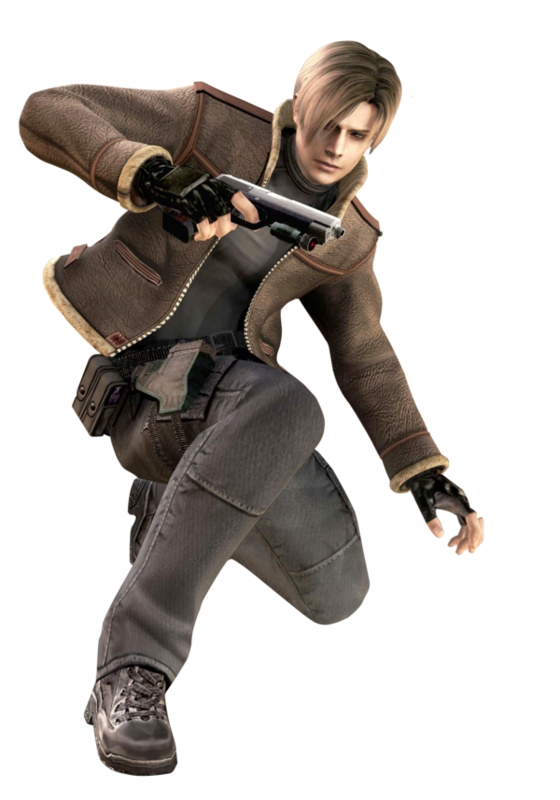 Leon S. Kennedy reference image. Okay, so to wrap up this review I want to make it clear that, contrary to what it perhaps might sound like, I am indeed overall greatly pleased with the costume jacket that I received and with CosplaySky's service. 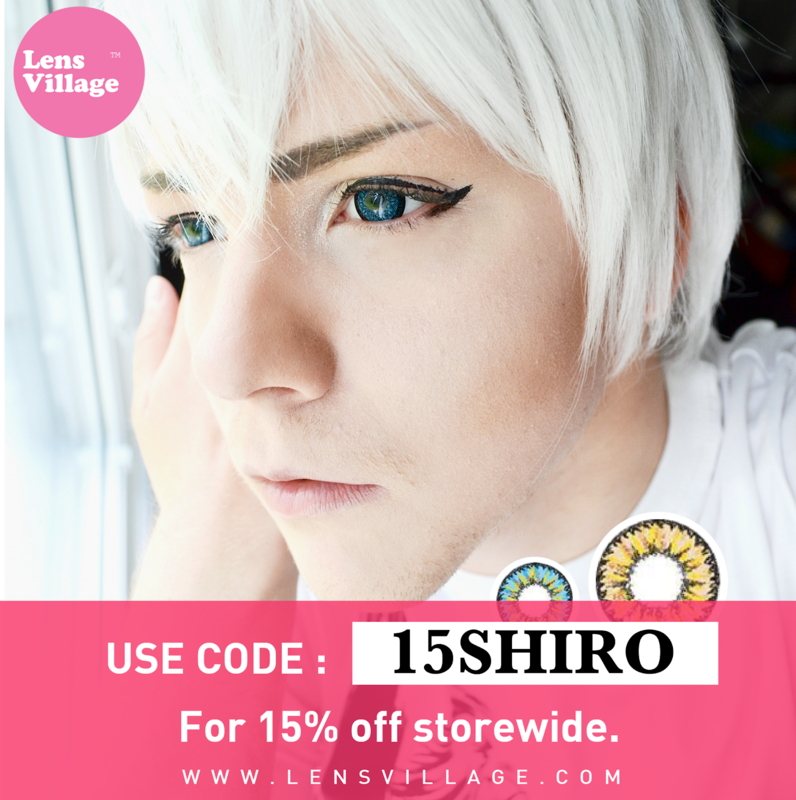 ♡ I'm truly sorry that this review is so so late but I really enjoyed this collaboration with them and I'd look at their store for cosplay shopping in the future. Overall I'd feel safe recommending CosplaySky to all cosplayers –both beginners and more seasoned peeps– who are looking for a reputable online costume store with a huge costume selection and decent quality. 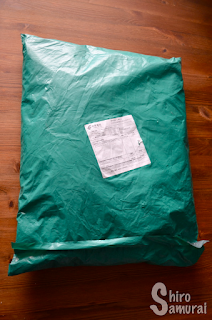 They are also pretty fast with the turn-around times, but as with any online purchases from overseas you should plan in advance and order at least a couple months prior to the event you need the costume for; it's always better to be too early than too late! Also, don't forget to check out CosplaySky if you want to buy a costume or know someone else who does. ^_^ They constantly expand their repertoire with new costumes from the current popular shows! ~ Shiro Samurai says sayonara.